#1 Carry a wallet that looks neat and clean as it says a lot about you and also compliments your dressing sense. #2 Avoid carrying an over-sized wallet. Check your wallet periodically and lessen the load by eliminating the unwanted stuff like old bills, ATM receipts and so on. A bulky wallet filled with unnecessary stuff creates a bulge in your trousers which ruins your appearance. #3 You can experiment with wallets for men from several options available in terms of leather material, prints and shapes. #4 Your wallet is an investment. It goes a long way in maintaining your image. 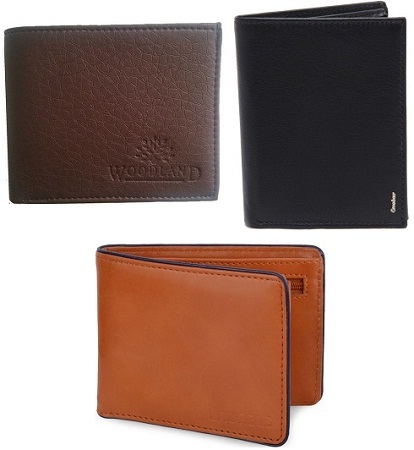 It is advisable to go for a good quality branded wallet made of premium quality leather. #5 As far as colours are concerned, you can decide the colour of your wallet keeping in mind your job profile or your designation. For instance, you can't afford to have a funky wallet if you are at a managerial level in your firm. In a corporate scenario, opt for dark colours like black and brown. However, if you are working as a creative professional, you are allowed to go for colours like grey, tan, red etc. #6 Also, you must not miss out on the functional aspect of your wallet. If you carry a lot of stuff, it is best to compartmentalize it. 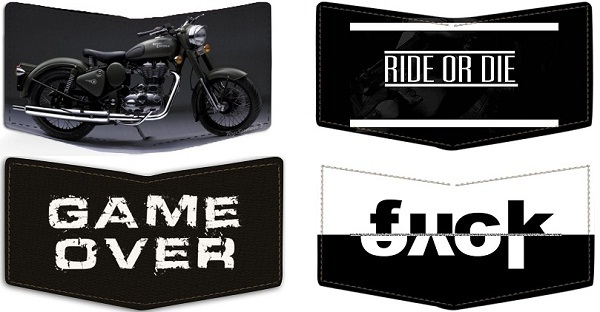 There are wallets with dedicated slots for SIM card, memory cards, coins etc. #7 If you carry plastic money (credit/debit cards), choose wallets with separate pockets for credit cards as storing them along with other stuff can cause damage to the cards. Don't underestimate the importance of transparent pockets as they enable you to keep your drivers license, ID cards etc.